1921 Exhibits Ty R. Cobb, Detroit Tigers HOFer. 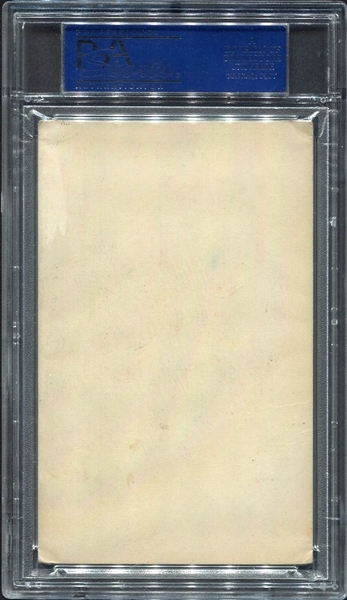 PSA 3.5, crease free with light wear to the corners. A solid example with no problems! Cobb cards of all genre's continue to appreciate in value, this first year Exhibits is no exception. 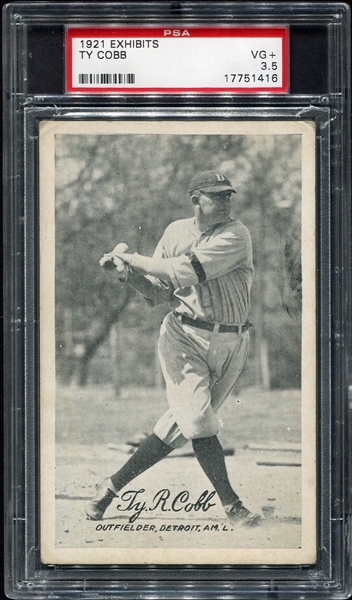 One of many 1921 Exhibits HOFers we will be offering in this auction.